After reading my last post you were probably like “well that’d pretty cool, but why would I want to do that?” Well after finding a few sources on the internet indicating that this may speed up report page load times, I figured I had to see it myself. It definitely increased all page load times and the most notable performance increases was the largest report. In this testing I hit the page 5 times and took the average page load time. 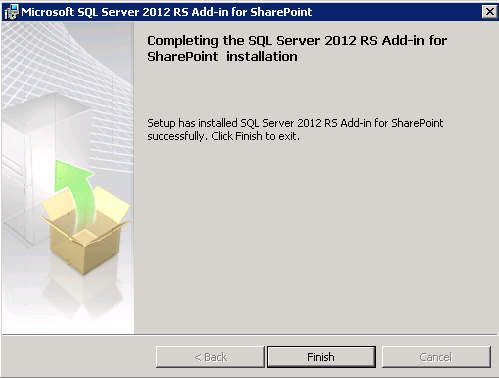 Again, the SSRS 2012 Add-In is available for free download on the Microsoft website (http://www.microsoft.com/en-us/download/details.aspx?id=29068). One important thing to note is that any SSRS web parts will need to be recreated in the environment as the 2012 Add-In updates the web part (Microsoft.ReportingServices.SharePoint.UI.WebParts.ReportViewerWebPart) from version 10.0.0.0 to 11.0.0.0. *Note: Page load times were recorded using Fiddler2. When total times (Time Data Retrieval + Time Processing + Time Rendering) were recorded from database (dbo.ExecutionLog) the 2012 add-in sometimes took longer and sometimes took shorter. This is not a great indicator of report speed anyway as the numbers recorded were very inconsistent. Also, I have successfully tested a rollback of the add-in from the 2012 version back to the 2008 R2 version and remember the web parts will need to be recreated and you will need to reconfigure Reporting Services Integration in Central Admin. Note: For SharePoint 2010, you can use either the SQL Server 2012 or the SQL Server 2008 R2 versions of the Reporting Services add-in for SharePoint 2010 products. However, if you use the SQL Server 2012 SP1 version of the add-in, then you must also use a SQL Server 2012 SP1 report server. The error “Windows integrated security is either disabled..” tells you that you need to go back in Central Admin and reconfigure Reporting Services Integration. Now, view a part page that contains the SQL Server Reporting Services Web Part. A Web Part or Web Form Control on this Page cannot be displayed or imported. The type Microsoft.ReportingServices.SharePoint.UI.WebParts.ReportViewerWebPart, Microsoft.ReportingServices.SharePoint.UI.WebParts, Version=10.0.0.0, Culture=neutral, PublicKeyToken=89845dcd8080cc91 could not be found or registered as safe. The SSRS Add-In updates the web part from version 10.0.0.0 to 11.0.0.0 so you will have to delete and re-add the web part for it to display without this error. 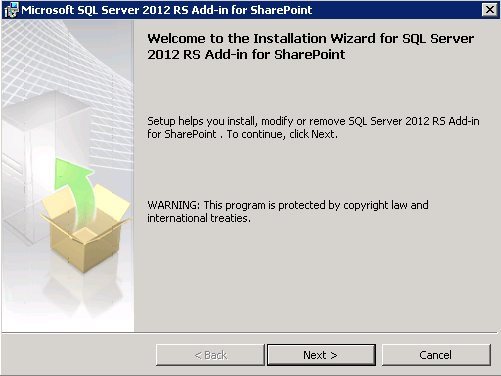 Note: This Add-In is free to download and does NOT contain SSRS 2012. After installing this add-in you do have the following PowerShell commands available. DO NOT USE THEM! These commands require both the add-in and SSRS 2012 to be installed before it will work correctly. Also, it appears that the install using the free download link versus running the install from a SQL 2012 CD create different folder/files/registry keys. The same still applies though..Using SSRS 2008 R2 with the 2012 Add-In (Installed using SQL 2012 installation media) I was actually able to create a SSRS Service Application, but it did not function. The SSRS Add-In install from the free download link does not create any registry keys under SQL Server for “110” and it does not create anything more than a KeyFile folder in the C:\Program Files\Microsoft SQL Server\110 location. 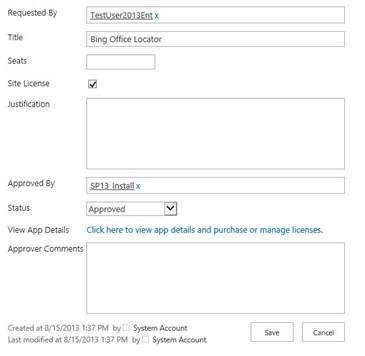 Using the SQL 2012 media to install the SharePoint Add-In it will create the registry keys and will create folders called KeyFile, License Terms, Setup Bootstrap, and Shared. I tested out the “pin term with children” feature with Managed Metadata Navigation and this doesn’t appear to be the best solution because it requires a lot of “tinkering” to get working. 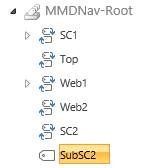 I used the Team Site Template for all Site Collections so I needed to activate the SharePoint Server Publishing Infrastructure Site Collection Feature and Deactivate the Minimal Download Strategy (Messes up short URLs) Site Feature for each site collection/web created. 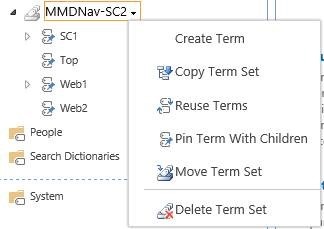 You can only pin a term with children and not an entire term set, which means any new top level terms added to the global navigation menu must be pinned to all other term sets for other site collections. In order for this to work all links must be absolute URLs since we are using it cross site collections. You will need to go back to Site Settings > Navigation and just click OK.
Everything at this point is working cross site collections though, which is a plus! After creating the new term it will automatically be pinned to all inheriting term sets..cool! After further investigation this is because when pinning a term if you make a change to that term (For example: Change the simple link), this will not propagate to the other term sets. So, since I created the term as a child term right away and it then propagates to all other inheriting term sets, it propagates out without the URL specified. Then, when I go and make the change to the source term, it doesn’t get propagate to all inheriting/pinned terms. First, delete the child term that we just created (SubSC2), which will be propagated out to all inheriting term sets. Then, create the term at the top level as we did prior. 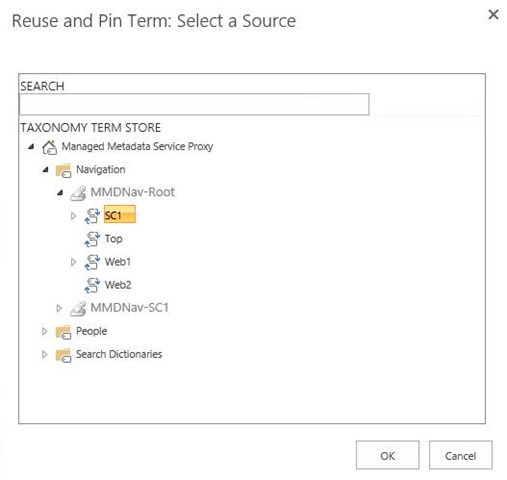 Now, if I go to the Term Store Management Tool and move the term as a Child Term of another top level term (For Example: Move it underneath SC2), this will propagate to all inheriting term sets. 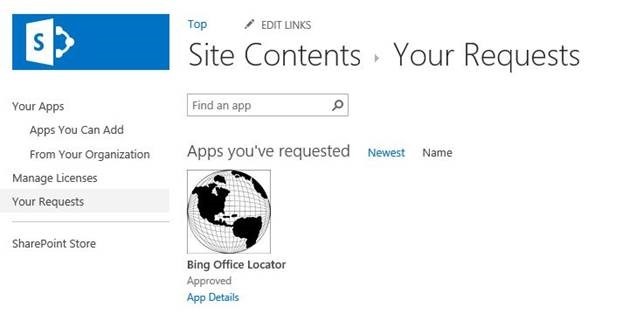 Copy all contents from a working SharePoint site into this folder. 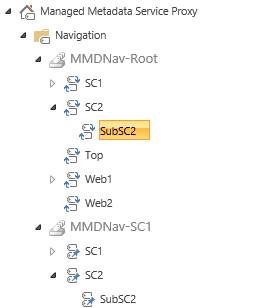 For a SharePoint 2013 environment I was seeing an issue with Managed Metadata Navigation and URL redirects. The target settings for the Navigation URL was set to “/SitePages/Homepage.aspx”, but the actual URL that it gets redirected to was “/layouts/15/start.aspx#null” which should really be “/layouts/15/start.aspx#/SitePages/Homepage.aspx”. The only way I could get this to work is to turn off the MDS (Minimal Download Strategy​) Site Feature. Managed Metadata Navigation was created with Publishing Sites in mind and this link (http://technet.microsoft.com/en-us/library/dn194311.aspx) does say you have to activate publishing features at both the site collection and site level in order for this to work correctly, though I got it to work by only activating the SharePoint Server Publishing Infrastructure Site Collection Feature and disabling MDS at the site level.